Thinking of rooting Android? If you’ve stumbled upon the One Click Root blog, then you’re probably at least a little bit interested in rooting, am I right? There are lots of Android backup apps for non-rooted phones. However, these apps don’t backup everything that’s on your phone. They backup your personal files, data, contacts, and other important information. But all of your app-related information will be lost. With an app called Titanium Backup, you can backup every square inch of your phone and have that backup accessible over the cloud. It’s the most powerful backup app for Android and when your Android crashes, you want to have your information saved with Titanium Backup. If you’re a Galaxy owner, then you know that there are at least a dozen different Samsung apps preinstalled on your phone. 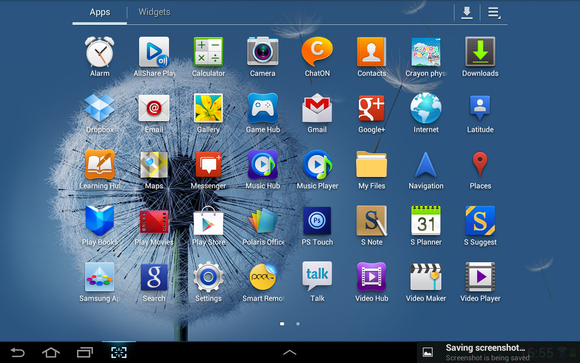 These apps include S Draw, Samsung Suggest, Samsung Apps, Samsung Video Hub, S Voice. But do you ever actually use any of these apps? I know I don’t. And unfortunately, it’s impossible to uninstall these apps. They take up space on my app drawer and on my storage card. After rooting your phone, you can easily remove preinstalled crapware and unwanted apps – even if your phone manufacturer doesn’t want you to uninstall them. 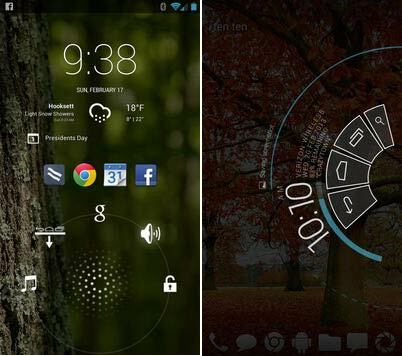 Greenify is easily one of the most popular apps for rooted Android users. Greenify allows users to ‘greenify’ an app that they don’t want to run in the background. By default, your Android has dozens of apps constantly running in the background, and these apps take up valuable processing power and memory. When you greenify your apps, you essentially freeze them until you manually activate them. If you don’t want to be bothered by Facebook spam and notifications all day, then you should greenify Facebook, which is a major battery killer. LMT Launcher: Vastly improves the user interface of your device and provides quick access to everything (including four finger swipe detection). 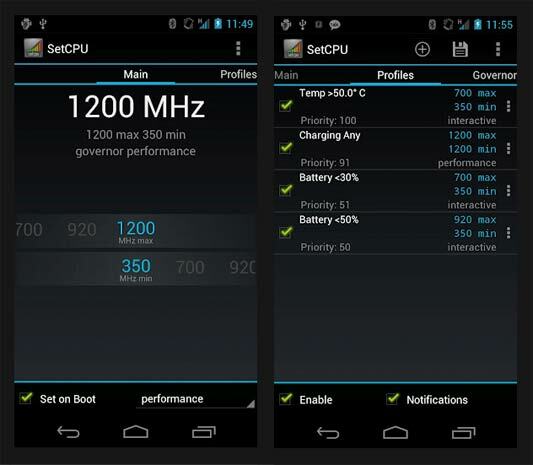 SetCPU for Root: SetCPU automatically limits your Android CPU’s speed and performance when it’s not needed. This saves battery life and you never even notice the difference. Root Explorer: The best file manager for rooted Android users. SD-Booster: Speed up the performance of your SD card. Full!screen: Full!screen allows you to make any app take up your entire screen without being crowded out by the notifications bar. From SetCPU to SD-Booster, there are dozens of rooted Android apps designed solely to speed up the performance of your device. Even installing one or two of these apps can lead to a noticeable boost. Anyone can appreciate a faster smartphone or tablet. Automation is the future. Or something like that. 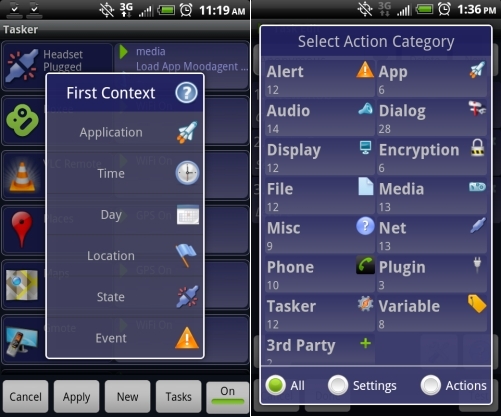 After rooting your Android tablet or smartphone, you can automate everything on it. An app called Tasker is one of the most powerful apps available today. It has a bit of a steep learning curve, because you have to enter the automation tasks into your phone yourself, but you can also download plenty of prebuilt automation tasks online easily. 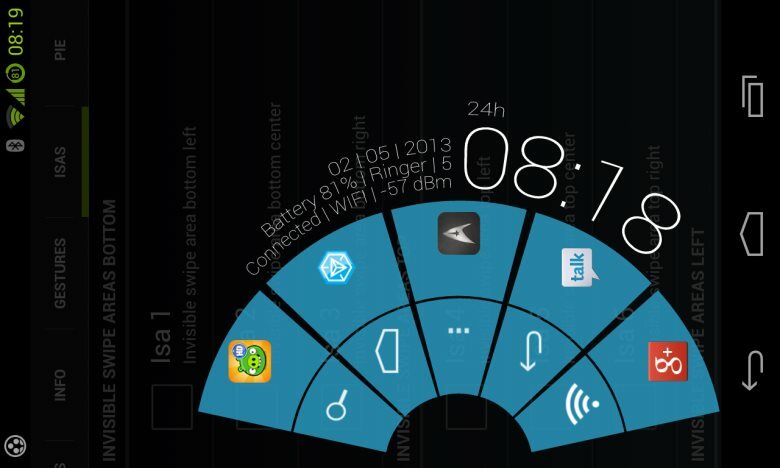 Installing a custom ROM can completely change the look of your device. Or, it can only tweak a few small features. There are thousands of different custom ROMs out there and each one is designed to change the look, style, and appearance of your phone. The world’s most popular custom ROM is CyanogenMod, which is updated more regularly than most Android builds and is packed with amazing features – like an incognito mode for all apps. It’s also an excellent way to bring the latest Jelly Bean features to your unsupported device. You can get PhotoSphere on your Galaxy S3, for example. Nobody likes ads. Rooting Android allows you to block all ads all the time from ever showing up on your Android. All the good ad blocking apps work better with rooting, including AdFree, AdBlock Plus, and Ad Away. Why do ad blocking apps require rooting in order to work? 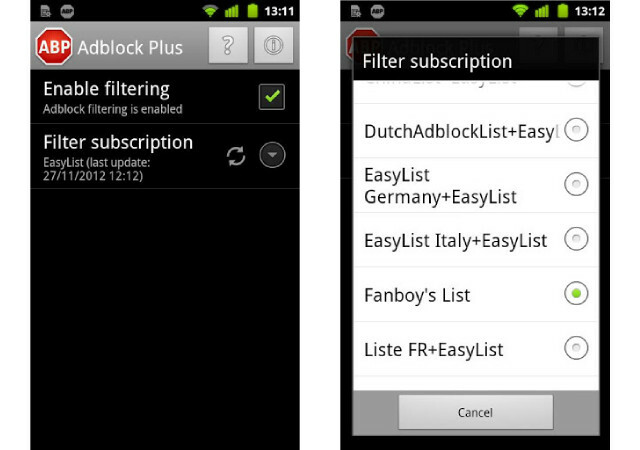 These apps go into the core layers of Android and tell Android to block traffic from advertising servers and websites. You won’t see ads on your apps, your browser, or your notifications shade.